A new song: “Power” by Kanye West. Especially great for lifting, but also helpful at the end of a long run. New gear: I’ve been hunting for running sunglasses that don’t make me look like a fool for months. 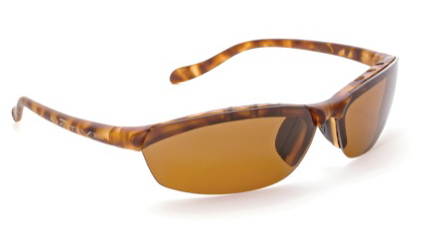 I found the perfect pair in the Native Dash SS Tiger’s Eye, and I offer this brief review: They’re rimless on the bottom, so there’s nothing to bump or rub against my cheeks (NOT comfortable). They don’t fog up. They don’t say, “I am so single-mindedly focused on running, I eschew all style considerations.” Their lenses make life look prettier. A little help from my friends: My first two post-surgery long runs (eight miles each) were kind of miserable, slow, and ego-crushing. I wasn’t expecting good things from my 10-ish-miler last Tuesday (fun-filled weekends=mid-week long runs). But a mental trick helped make this one easier to handle: I ran four miles by myself, then met up with my running group for our normal five-ish-miler. I ended up running 9.35 miles total, and finished strong. Success! Races ahead: Ragnar D.C.! I signed up for this race months ago with my running buddies. We held our first informational meeting last week, and it occurred to me that this will be as much of an incentive as the half-marathon when it comes to training motivation. We each run the equivalent of three five-mile legs of the 200-mile, overnight relay, and that’s just not something I feel like I could pick up and do right now. A new open-water swim: the Dixie Zone OW Championships in Sarasota Oct. 2 offers a 1K, 2.5K and 5K swim in the Gulf of Mexico, ending at a place called the Daiquiri Deck. Because if you’re not motivated by the thought of a frosty, fruity drink on a deck overlooking the Gulf, you might want to check your pulse. Hi Amy! YOU’RE motivating me to run this week! I’ve been on vacation, things have been crazy in my life, I got sick, and now I want to be ME again, and you’re part of that! You’ve come back from wrist surgery, you’re getting ready to run a Half soon, and I’m motivated by my friends that are out there doing the work and getting excited for the next adventure. Love you!